The possible loss of Howard University’s PBS affiliate could be a tipping point toward the extinction of black-owned broadcast media, but the Federal Communications Commission has no sense of urgency to fix the problem. That’s not hyperbole. For years, the FCC has watched female and minority ownership of broadcast stations dwindle without much concern for the real-world implications of having our broadcast airwaves run almost exclusively by white men. 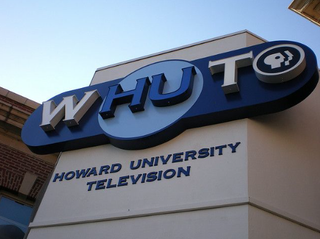 After ignoring 12 years of court orders to address this problem, the FCC has started an auction, allowing Howard University to sell off the very valuable broadcast airwaves of WHUT, our nation’s first and only black-owned public TV station. That superlative has wrongly placed the responsibility for the very survival of broadcast media diversity on Howard University. That’s a burden for the FCC to bear, not Howard. But that hasn’t stopped critics from unfairly criticizing the university for selling the spectrum, which will likely go on to be used by wireless phone companies, earning hundreds of millions of dollars for the school and its students. Last month a federal court even took the step of appointing a mediator to ensure that the FCC finally does something of substance to fix the diversity ownership problem. But after years of neglecting ownership diversity, the FCC has a long road ahead of it. The FCC’s inaction comes at a significant cost for the black community’s prospects to include its perspectives and stories in the media. Out of 1,784 commercial broadcast television stations in this country, only seven are owned by African Americans. These rates are not much better for women or other people of color. As a result, the media exaggerates black criminality, unemployment and poverty. And because local news is the main source of news for the vast majority of people and dominates the political discussion in our country, these distortions have real-world effects on how people treat and view African Americans. That speech was beamed to 2 million Washington, D.C.-area homes on WHUT. But because of the decline of black media, those stories of progress or of the 2,300 successful Howard graduates in the audience rarely—if ever—see the light of day on most broadcast television stations. The FCC has a responsibility to govern the publicly owned airwaves in the best interests of the entire country. On this issue, it’s not only failing; it’s making the problem worse. And without a clear vision from the FCC, WHUT won’t just be the first black-owned public television station; it could also be the last. Wade Henderson is an alumnus of Howard University and the president and CEO of the Leadership Conference on Civil and Human Rights. Follow him on Twitter.